Yes, the big reveal is (half) over as I am one of the new faces for Wearrior Instinct. Blogging about fashion and lifestyle related things has been my underlying interest, so it was an honour when Wearrior A invited me to join the team and was simply an offer I couldn't turn down. 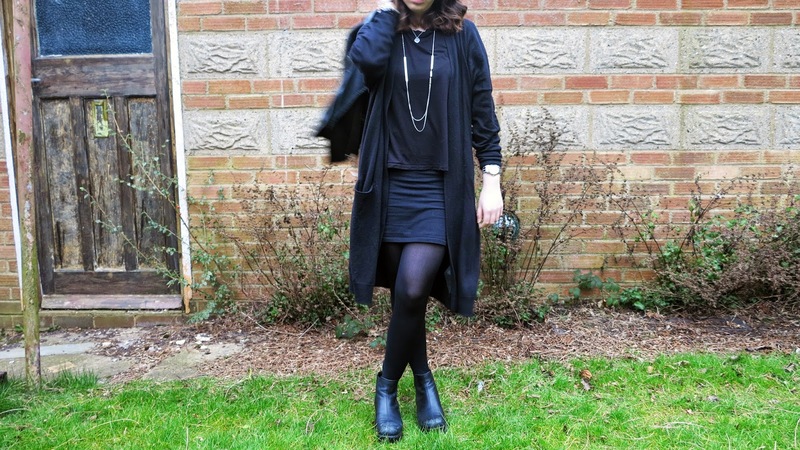 Now for those who know me well, would expect my first blog post to consist of an all black outfit. Surprise, surprise, as my debut I present to you one of my favourite all black outfits. This one is my go-to outfit for those days when I feel like dressing a bit more grunge than usual. Since Spring is (kind of) upon us this means being able to ditch the thick winter coats for lighter options such as a leather jacket. Personally I love pairing my leather jacket with a maxi style cardigan, it gives that extra warmth and is a great layering piece that adds contrast to the outfit. Wearing an all black outfit may be daunting for some, but I think the key to it all is mixing up the shapes and textures within the outfit. 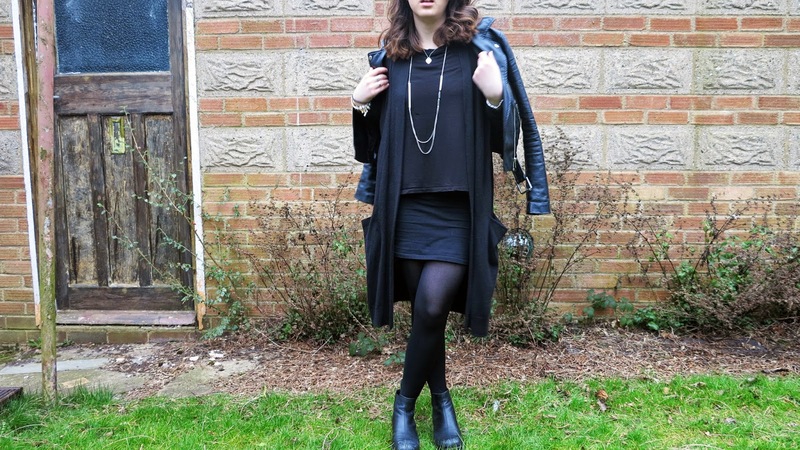 So within mine I have mixed textures ranging from faux leather, knit and jersey just to add dimension to the outfit. Now for those chillier Spring days I like to add my trusty blanket scarf to keep me warm. 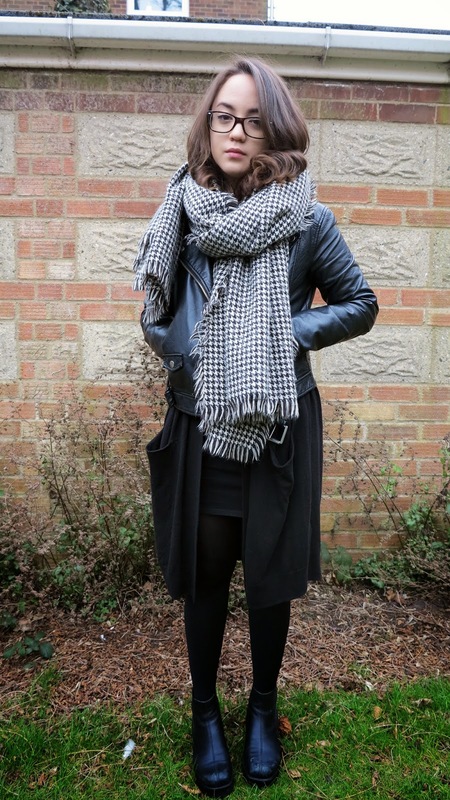 Sticking with the monochrome theme, this classic Houndstooth print scarf is my ultimate favourite out of my winter scarf collection as it never fails to match any outfit I pair it with. So that's it for my first blog post. I hope you guys enjoyed it! The suspenseful wait isn't fully over though. Stay tuned for next week's 2nd reveal of our final addition to the Wearrior Instinct family!